You’ll find Australia’s Nature Coast north of Brisbane on Queensland’s east coast. Spanning both the Sunshine Coast and Fraser Coast, this stretch is home to some of the best beaches in Australia, two UNESCO Biosphere Reserves, 47 state and national parks, rivers and amazing wildlife. We’ve picked out 10 things you could do on Australia’s Nature Coast. 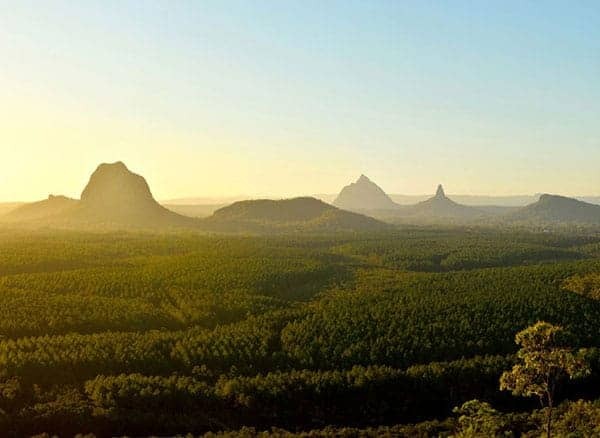 It’s a sea of green as you drive past valleys and tall forests in the Glass House Mountains National Park, just north of Brisbane. The huge rocky outcrops rising in front of you are actually the remnants of volcanic activity around 25-27 million years ago. These vertical columns are now an iconic landmark on the Sunshine Coast and you can head here to make the most of fantastic hiking, climbing and abseiling. Discover waterfalls and rainforest at your own pace or enlist the help of an expert guide. Some of the panoramic viewpoints are a must-snap. 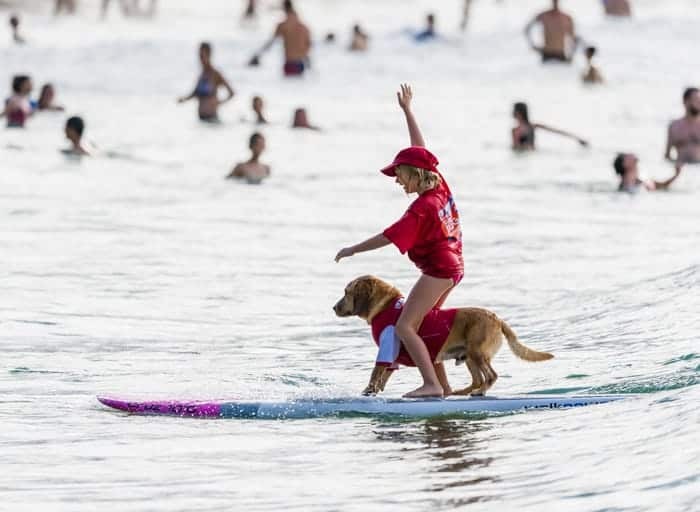 Beachside Noosa has been named a World Surfing Reserve and is a great place to book a lesson. It’s also home to the Noosa Everglades, which you can explore on an eco-cruise or by kayak. Paddle across lakes and wetlands, admiring incredible birdlife resting on the bank’s branches. The town hosts events throughout the year, including the Noosa Food & Wine Festival in May and the Triathalon and Multisports Festival in November, which attracts over 10,000 competitors. Power through the sand in a 4×4, leaving the tarmac behind as the sand kicks up from under the tyres. This is a road trip with a difference. A 4×4 tour can take you along some of the world’s most stunning – and deserted – beaches. 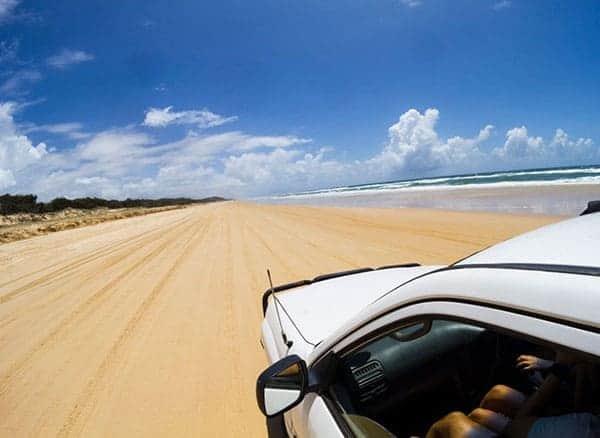 The Great Beach Drive combines the Sunshine Coast with the Fraser Coast, stretching around 230 miles and passing two UNESCO Biosphere Reserves, a World Heritage Marine Park and Fraser Island, the largest sand island in the world. The area is home to kangaroos, whales, turtles, dingo, dugong and platypus, as well as an incredible variety of birds. Head for Carlo Sand Blow on Rainbow Beach at sunrise or sunset to photograph the cliffs and see the light shine over the different coloured sand. 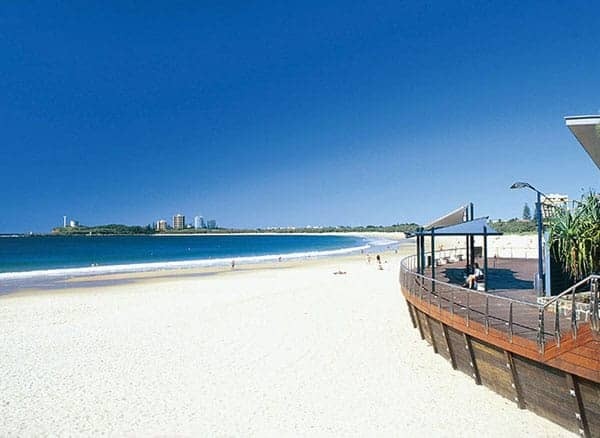 Mooloolaba is one of Australia’s most vibrant and exciting stretches of coastline, with a down to earth vibe. You’ll find outdoor cafes and restaurants, juice bars and boutiques on the glamourous esplanade – it even has a public ‘Loo With a View’ over the Pacific Ocean. You might get the chance to swim or dive under the water and spot humpback whales from July to October; dive the ex-HMAS Brisbane, sail, surf or simply chill out on the beach. Mooloolaba’s fresh prawns, spanner crabs and reef fish are brought in daily to The Wharf if you like seafood; and can be washed down with a local craft beer. Fraser Island is the biggest sand island on earth and has World Heritage status to protect its ancient rainforests growing out of the sand, over 100 lakes and delicate eco-systems. You can gaze over Lake McKenzie and be tempted in for a swim; walk under ancient, towering trees in the Valley of the Giants; or power along 75 Mile Beach in a 4×4, which doubles as an off-road highway and a landing strip for light aircrafts. 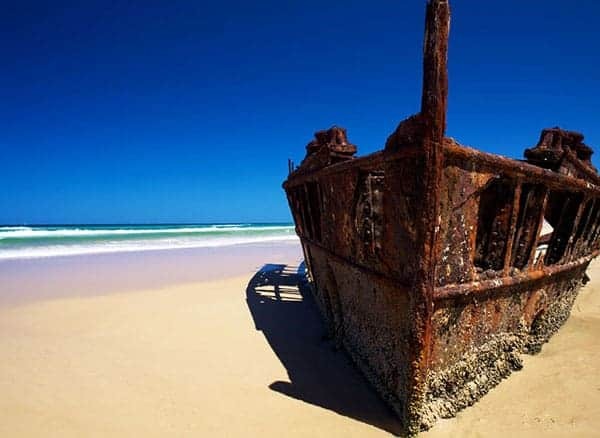 On the beach, you may stumble across the Maheno shipwreck, its rusty shell sinking into the sand. Hervey Bay is a fantastic destination if whale-watching is high on your travel wishlist. 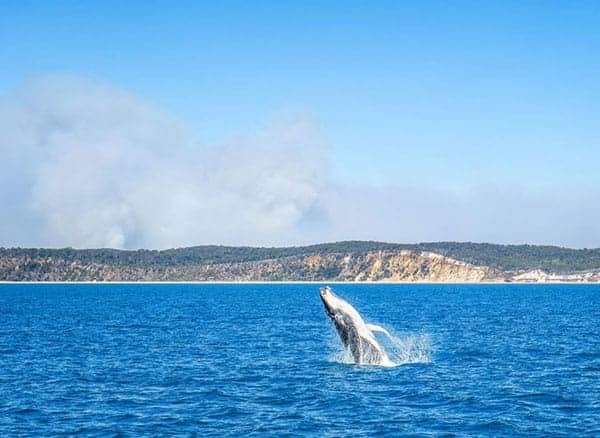 Humpback whales rest and play in the protected waters of Hervey Bay between July and November and you can see them by boat or join an organised and licensed snorkelling experience so you can see these graceful giants from an underwater perspective. You can swim year-round in Hervey Bay, paddleboard, take a bike ride along the esplanade and stroll along the pier, which juts into the sea for over half a mile. This is the perfect spot to have fish and chips and watch the ocean. The Fraser Coast is a fantastic place to go fishing, with a maze of intertwining creeks and rivers, vast sand flats, in-shore islands, deep reefs and clear water home to incredible diversity, from marlin and barramundi to threadfin salmon. You can fish for bass in Lake Lenthall; or chase queen fish from the flats of the Sandy Straits. 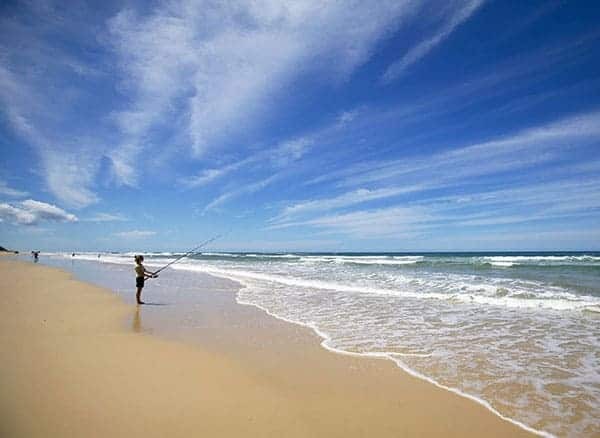 You can try and hook a mackerel straight off the beach from the southern mouth of the Burrum River; reel in buckets of fish from the sleepy shores of Tuan and Boonooroo; or discover the coast of Fraser Island, known for deep gutters and a famous tailor season. Lady Elliot Island is a 40-minute flight from Hervey Bay and is one of the easiest islands to reach in the southern Great Barrier Reef. 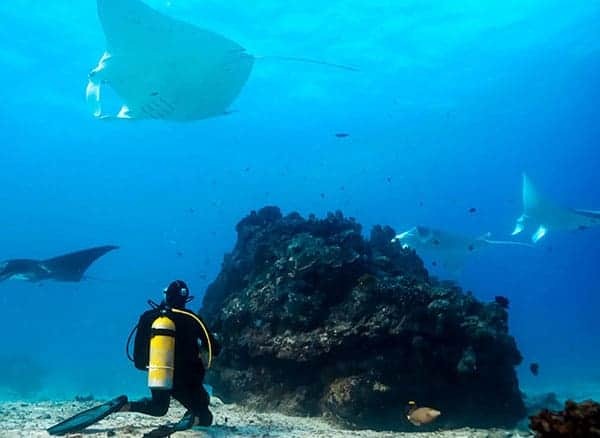 It’s known as one of the best places on the reef for snorkelling and an incredible spot to dive with manta rays – researchers have identified more than 700 rays living in the surrounding waters. We highly recommend a trip here to snorkel or take a glass bottom boat ride. The manta rays can be seen year round, but are most active between May and August. 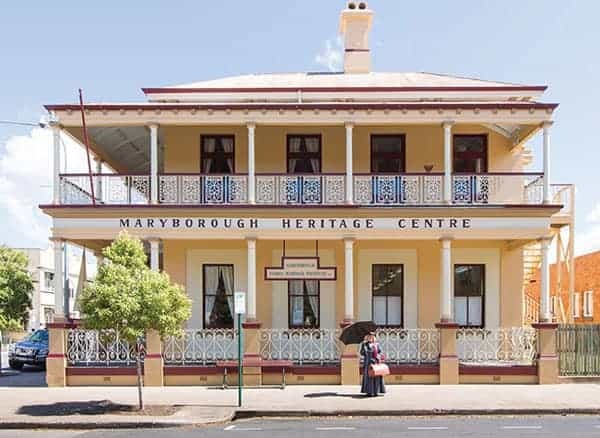 Take a snap of yourself with one of Maryborough’s most famous resident – a bronze statue of Mary Poppins. The city is the birthplace of author Pamela L.Travers. If you are interested in history, you can also admire the city’s beautiful buildings and explore its fascinating museums – the area was one of the original ports of entry into Australia in the 1800s. There are also military links, including the Duncan Chapman memorial, a local soldier who was the first man at the shore at Gallipoli. The area is also great for bush trails, tiny coastal villages and bird watching. 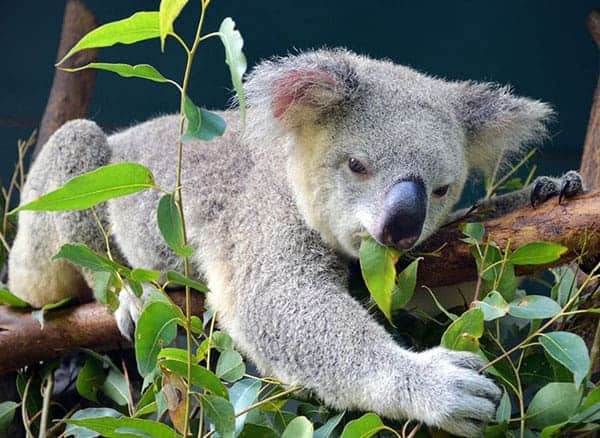 Visit the world-famous Australia Zoo to get an up-close encounter with koalas, wombats and kangaroos. Made famous by crocodile hunter Steve Irwin, the 105-acre zoo on Queensland’s Sunshine Coast offers exciting demonstrations and the chance to discover the Wildlife Hospital, supporting conservation efforts. Call us on 01730 711010 or email leisure@meonvalleytravel.com if you wish to experience Australia’s Nature Coast.